A majority of our ‘off site’ Field work and courses are held in a couple of well hidden woods on the Wiltshire-Somerset borders, near Frome. Both of the sites offer us the opportunity to witness the very best of the British countryside. The variety of Flora and Fauna are amazing, from three varieties of Deer, Foxes, Rabbit, Stoat, Buzzard to St Johns Wort and Cattail! 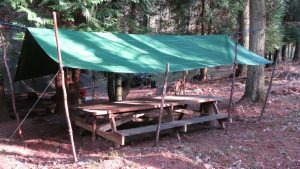 The Countrylore team have developed their main camp , in the coniferous part of our woods , in to a very organised centre of wilderness living excellence. Other than the main parachute where much is taught , there is a covered dining area , comprehensive camp kitchen and eco camp latrines. On booking a day or course with us you will be furnished with our location but please be advised, the site is fairly difficult to find ! What sort of Kit / Clothing do I need? What and When do we eat? Throughout the day, whilst in the woods, hot and cold drinks are available. At lunch, we always stop and have a lovely camp meal. Those with special dietary requirements, ie Vegetarians will be catered for, if we are notified at least 48 hours before the course date. Weather and time permitting we will use an open fire or Clay oven and a hangi! What are the WC / Sanitary arrangements? The toilet facilities are fully screened and set near our base camp. The ‘set up’ is hygienic, environmentally friendly, safe and private. There is a simple routine which is explained to all our students on their arrival. To maintain hygiene there are also hand basins to clean ones hands at the appropriate times. Courses will take place in all weathers, except in extremes. Extremes of temperature pose no problems in our temperate climate, but high winds / gales bring associated risks. If you are at all concerned please check.Where Schools are involved The School and Countrylore will make a safe sensible decision… we don’t take risks. There are a group of plants we nibble at. But generally with School children we only participate in eating traditional camp food. Again we will not take any unnecessary risks. Mark and Lucy Hotson will take the sessions whether on site or in our Woodlands. Mark has spent the last 12 or so years attending courses and making trips throughout the UK, Eastern Europe, Sweden and Canada He has gained a majority of his formal tuition from Woodlore under the guidance of Paul Kirtley , Ray Mears and Lars Falt.He has also studied under Mors Kochanski in Canada and Woody /Ross from Bushcraft Expeditions.The couple like to make sure they enthuse all the students with their zest for all things ‘Bushcraft’. Never professing to experts, they are just consummate enthusiasts who are trying to put something back…Both hold Food Hygiene Certificates, First Aid Outdoor qualifications and are CRB checked. All the activities we undertake are assessed rigorously. All the skills taught take place in a safe and controlled environment.The teaching methods employed minimalise the risk of any injury. The welfare of the students is always paramount.On leaving the Woods, all students are asked to check themselves for ticks, it is a good practice to be Tick aware.If you require any further advice please call or email. We always ask as part of our risk assessment process, that anyone attending our courses warns us of any relevant medical condition( Diabetes, Allergies etc). Through our own experiences we are more than capable of dealing with Diabetics as a speciality. Do I need to bring a knife? All specific ‘Bushcraft’ equipment will be provided such as Opinel Knives, Mora Knives, Billy Cans, Tarps, Lavvuus, Soul pads, Millbank bags and Fire-steels. 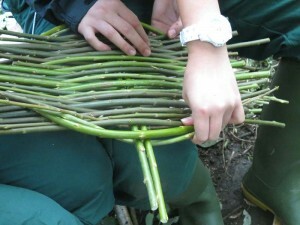 Can you recommend any other quality Bushcraft Schools? From experience Woodlore are probably the most professional and diverse provider of Bushcraft and Wilderness Living Skills in the UK. You always leave their courses more knowledgeable, confident and inspired. Ray himself often appears on courses to inspire one and all, his Instructors are also excellent and have all the necessary skills. Bushcraft Expeditions are also superb, a slightly different approach, but none the less excellent. 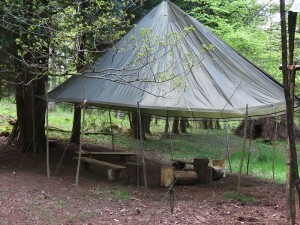 Locally we have heard many good things about Wilderness Survival Skills, a company based in Wiltshire near Salisbury. Ably lead By Joe O’leary, they are set to become one of the leading schools in the UK. If you want to travel, then look no further than Karamat Wilderness Skills, near Edmonton in Alberta Canada. The chief instructor there is Mors Kochanski, the father of Modern Bushcraft. Many ‘talk a good talk’ but Mors lives and breathes the whole subject. He is the Master and a more pleasant and friendly individual you will be hard pushed to find. For further advice on Bushcraft education or specific matters concerning Wilderness learning we have always found Paul Kirtley very honest and extremely informative. 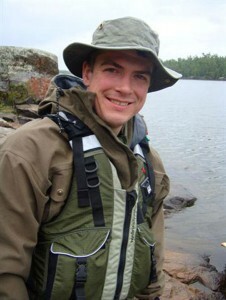 Paul Kirtley has now set up his own Bushcraft Company, Frontier Bushcraft. From the ‘Mears stables’ you might say… Paul is the new, up and coming face of British Bushcraft. He has recently put a huge amount of time and effort in to providing a tremendously informative ‘blog’ and you tube channel. Can you tailor make days or sessions to our requirements? We can offer single day experiences in our woodland locations for up to 20 students. On such days we hope to impart the cornerstones of Bushcraft leaving our students keen to learn more about this wondrous subject. We can also offer a ‘string’ of full days out to cover various subjects in more depth.We have also developed a full programme with local schools where we combine sessions from 2-6 hours with students. These sessions can go on for a month through to a full academic year. 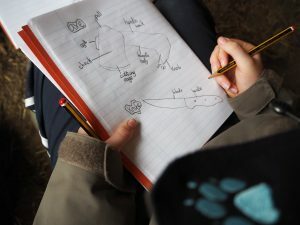 Simply, we will try to find you the right solution for your new Wilderness learning programme.The variety of what we can offer is so vast we therefore find it hard to illustrate costs. We are confident that we probably offer the best tuition to cost ratio solutions, especially for the education sector. Do you think Bushcraft can benefit ‘Duke of Edinburgh Award’ participants? Even a basic grounding of any Bushcraft skills can only but help participants.We have engaged with a few local students to help with the outward bounds / orienteering parts of the awards. If demand increases we may offer a Bushcraft-DOE Day to concentrate on Camp-craft, Shelter and Navigation skills with an aim to make students more au fait with the outdoors and it’s regimes. How easy are your Woodland Sites to find and access? The two woodland sites, both of which offer tremendous variety both in Flora and topography are in the BA11 postcode area. Major cities / towns like Bath are 35 minutes away, Salisbury 50 minutes, Wells 30 minutes, Bruton 20 minutes, Bristol 60 minutes etc. Both sites have parking facilities and all our woods are well hidden from major roads.On planning your time with us we will decide the appropriate location and give you all the details you might require to find us. As part of the Pre- planning preparation we often invite prospective clients out to our sites, to meet us and understand how we go about things. Recently we have been asked to carry out a series of instructional sessions with groups of teachers. Ideally – we have managed to pass on some of our ‘skills’ so they can return to their schools and pass them on – on a more regular basis. A great solution for regular outdoor learning opportunities for Staff and Pupils alike.